It's been kind of a strange summer. Certainly not overly hot other than a brief stint in mid-late July. In fact, since July 28, we've now had 16 consecutive days of below average daily temperatures and that will be extended at least three more days as we head into mid-August! You can thank a series of fronts over the past couple of weeks that have moved over and through the metro for the additional cloud cover, periods of acceptable humidity levels, and scattered rainfall. That trend will continue as we head into the work and school week. The closest front is to our south but it is very weak, so wind direction is variable to southeasterly. As your Sunday progresses, a mesoscale convective vortex (MCV), or remnant weak low pressure left behind by a previous thunderstorm complex, will move across the Mid-South from the west as upper level flow pushes it east-northeast. This will bring a good chance of rain to the area later this afternoon and into the nighttime hours. 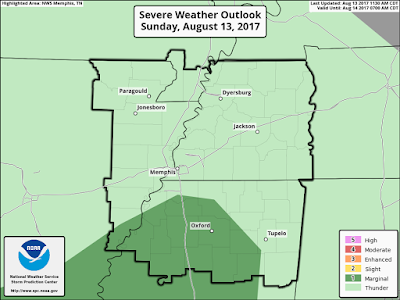 A few thunderstorms are possible, mainly south of the city where a Marginal Risk (level 1/5) of severe weather exists. I do not expect to see any strong storms in the metro. Rainfall totals could rise to a half-inch to inch in some spots by Monday morning. 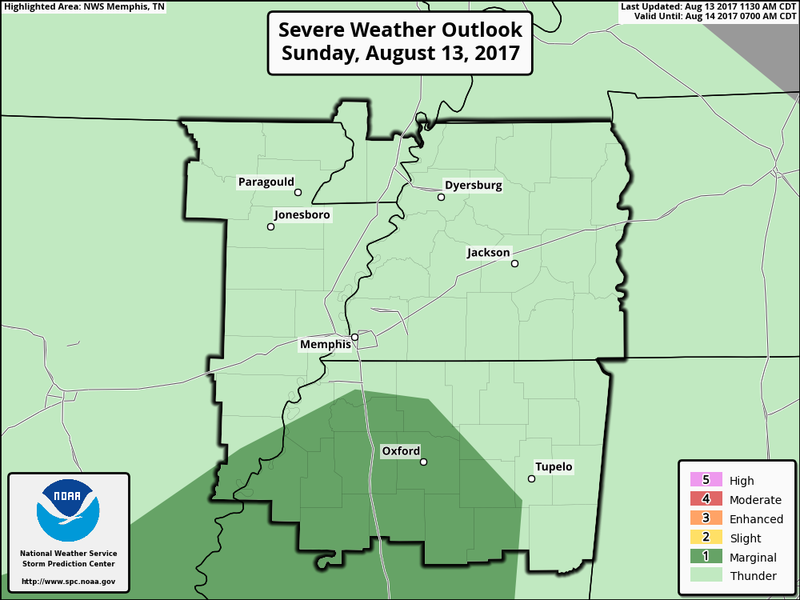 A low-end severe weather risk exists for the far southern portions of the metro today. I expect no severe weather for most of the metro and only a low chance of thunder north of the MS/TN state line. In the wake of the rain today and tonight, Monday looks to be drier though a chance of storms is in the offing, mainly south of the city. Though humidity will be back in the "muggy" category, temperatures remain mild with highs in the mid 80s due to only partly sunny skies. Additional scattered showers and thunderstorms will be possible nearly each day throughout the week and into next weekend, although not everyone will see rain every day. In fact, rain chances diminish some mid-week as upper level high pressure begins to build to our south and push north a bit. That will squash rain chances a bit, leaving a few possible in the heat of the day. Speaking of heat, it's making a comeback under this high as well. We'll be back above 90° by Wednesday with dewpoints getting closer to the "miserable" range as they near 75°. 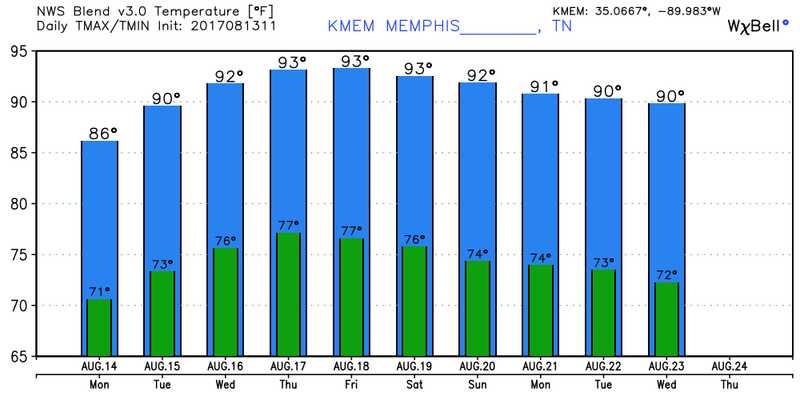 That'll mean heat indices back above 100° and overnight lows that get no lower than the mid 70s. The mugginess could subside a bit by next weekend as the pattern shifts just a bit, but typical summer weather will continue right into the weekend. 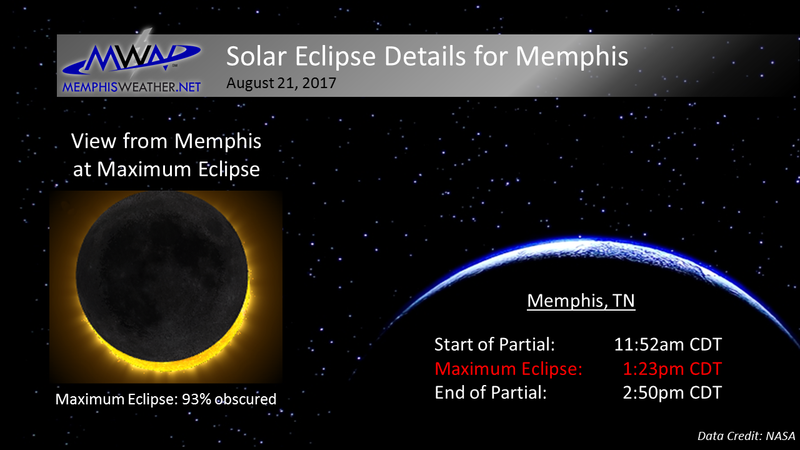 I know everyone's keen interest is on the eclipse forecast a week from tomorrow, August 21. Eight days out can still be a crap shoot as far as cloud forecasts, but the overall pattern doesn't necessarily bode well. Of course, a couple hours of partly cloudy skies is all we need, but it doesn't appear Eclipse Day will be a bright sunny day dominated by high pressure at all levels. Stay tuned and cross those fingers!! 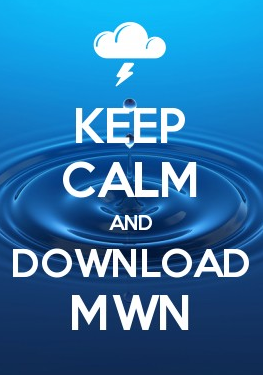 Starting tomorrow, eclipse day will be in the extended range forecast on your MWN app! 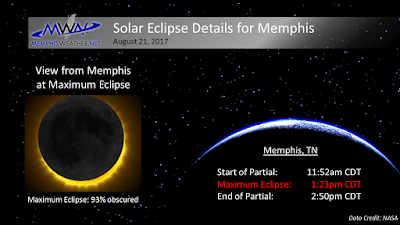 For more on viewing the eclipse in the Memphis area, see our Viewing Guide if you haven't already! Beat the heat with a cool (but rainy) August!